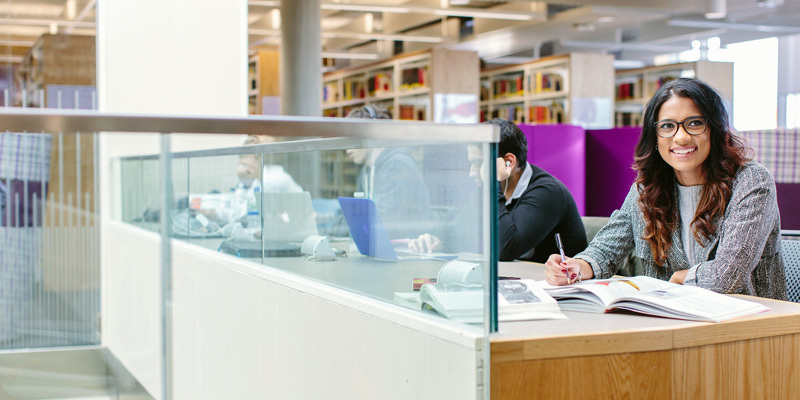 To apply for any of our research degrees, make an application through the University’s online application process. The application process for PhD degrees is outlined below. The application process for MA by Research can be found here. As an applicant for a PhD degree, you should already hold a Masters degree in a relevant subject area. For our practice-based research degrees (PhD/MPhil), enquires are invited from students who already hold a Masters in Fine Art (or an equivalent qualification or level of experience). Before you submit your PhD application, consider how your proposed research fits with the research interests of staff. In order for your application to be progressed you will also need to identify potential supervisors on the application form. We strongly recommend that you contact your preferred supervisors with a clear initial research proposal before submitting an application and well in advance of scholarship deadlines (see below). View our academic staff profiles to find out about their research interests. To demonstrate your suitability for higher-level study, you will also need to prepare a competent research proposal of 1,000 words minimum. transcripts of your marks for your undergraduate and postgraduate degrees. If you have prepared your research proposal, made informal contact with your prospective supervisor/s about your topic and had it agreed, you can make a formal application via the Faculty Graduate School Manager at fineartphd@leeds.ac.uk. You need to allow time for interviews, dialogue with and agreement from supervisors, refinement of your proposal, as well as for formal application and administration at both Faculty and University levels. Obtaining the supporting documents for your formal application – references and transcripts of former university study – can be a lengthy process. Applicants whose first language is not English may also need to allow time to take, and receive the results from, IELTS tests. You must have a formal offer of a place from the University before you can enter scholarship competitions. Competitive scholarship applications benefit from discussing and refining your research proposal with supervisors, and the ability to articulate how your research complements our School’s research strands. Contact prospective supervisors with your initial research proposal and an overview of your academic performance to date (e.g. BA and MA grades). Submit your formal application to the University, along with supporting paperwork (references, transcripts, etc). The first deadlines for scholarship competitions. Competition for scholarships is very high. A First-class BA and/or MA Distinction are typically required to be competitive, although alternative experience can sometimes count in lieu. For more information, visit our funding and scholarships page. We often have opportunities for PhD study via Collaborative Doctoral Awards, where you would work on your research project with an external partner. These opportunities are advertised on our funding and scholarships page when they become available. As our scholarship deadlines sometimes fall early during Masters programmes, we understand that it can seem difficult to apply for a PhD whilst still pursuing your MA. However, with the School’s support successful applications for funding are regularly awarded and we encourage all candidates to make submissions whenever they feel ready. Ultimately it is the quality of your proposal that will be crucial to success, so working on this carefully, and with support, is essential. Our Faculty Open Day, which usually falls in Semester 1, will provide you with invaluable advice and details of scholarships, deadlines, the application process and framing your proposal. If you are outside of the School and wish to be invited please contact Richard Borowski at fineartphd@leeds.ac.uk. If you wish to discuss progressing to PhD whilst still pursuing your MA, please contact the School’s Director of Postgraduate Research Studies, Dr Eva Frojmovic at E.Frojmovic@leeds.ac.uk.